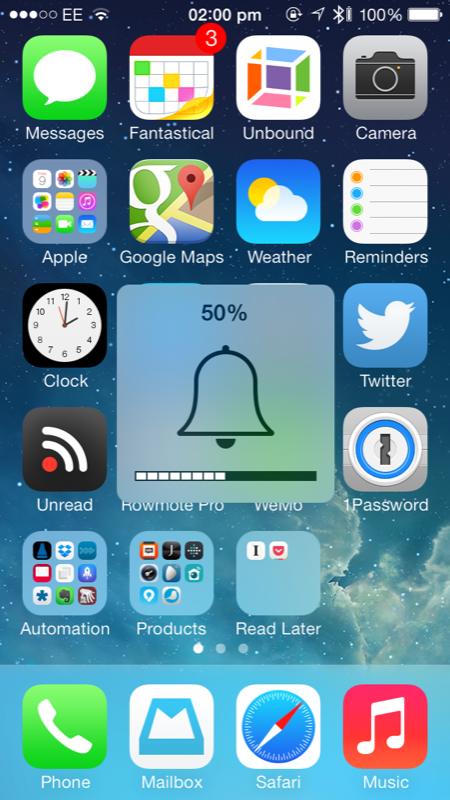 Voltage is a smart jailbreak tweak that adds a percentage indicator to the volume HUD on iOS. 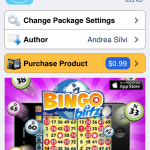 You can pick up the package now free of charge, and it’s optimized for iOS 7 and ARM64-devices. The jailbreak tweak, which came to our attention from iDownloadBlog, adds a new preferences pane to the Settings app and here users can configure how the package runs. First off, there’s a kill-switch for the jailbreak tweak, and beneath this is a text field which allows users to configure the format of the indicator displayed at their volume HUD. Users should leave this field blank for the default volume HUD, however inputting three percent signs – “%%%” – adds a percentage indicator to the HUD. Plus, adding text alongside these three symbols allows users to have custom text appear on their volume HUD, too. You’ll need to toggle the kill-switch in Voltage’s preferences pane in order for any changes to take effect, but usefully a respring isn’t required, which is nice to see. The jailbreak tweak works as advertised and ran smoothly on my iPhone 5s. You can download Voltage free of charge on the Cydia Store, and as mentioned, it’s optimized for both iOS 7 and ARM64-devices. 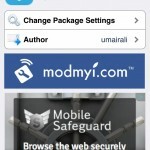 For more of our favorite recent additions to the Cydia Store, be sure to check our coverage of Daily Dash, AllDrop, Auki, and NCFold. See also: Apple’s iPad Remains No. 1 In Combined Worldwide PC And Tablet Sales, Bardbarian Goes Free-To-Play, Gets New Units From Other Popular Games, and Updated: Following Acquisition Rumors, Beats’ CEO Is Said To Be In Talks To Join Apple.